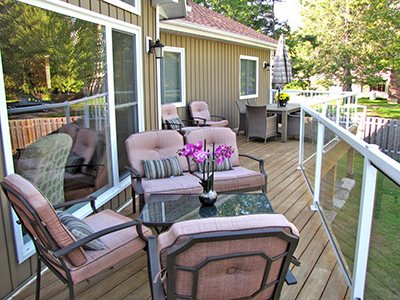 This is also a winter rental - see our winter page for details!!! 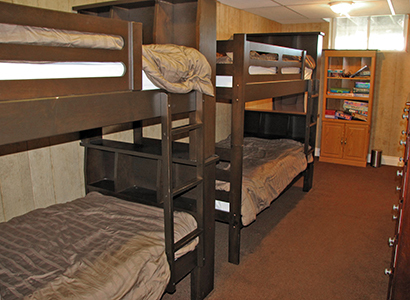 and 2 sets of single bunks. 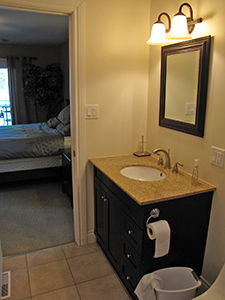 There is also a washer / dryer. 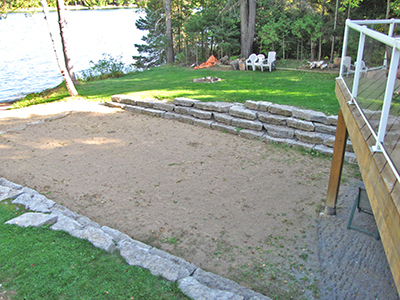 Child safe, gradual entry sandy beach with sandy bottom. 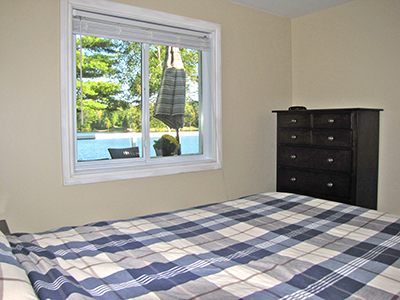 Comes with a canoe, kayak and paddleboat. 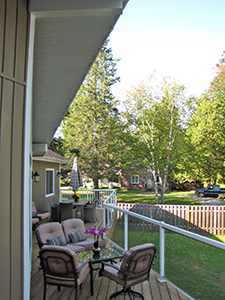 This cottage has a northeast exposure. 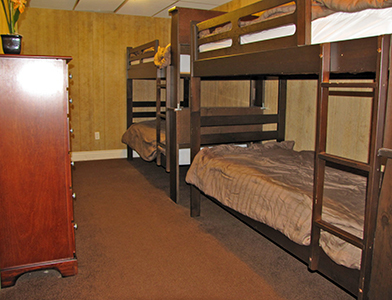 Really well done and ready for the executive family !!! 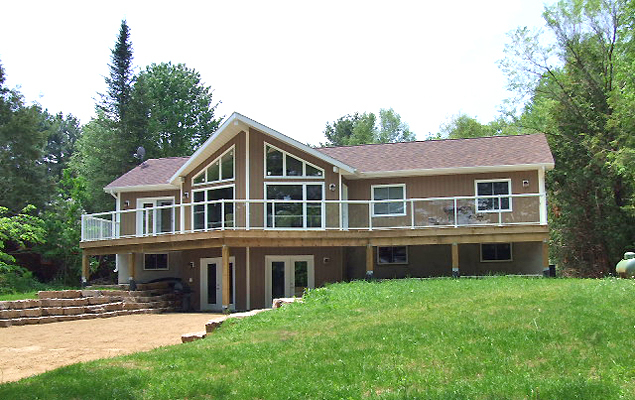 Imagine your vacation at this beauty on Moore Lake. 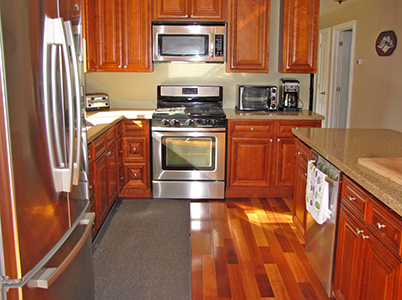 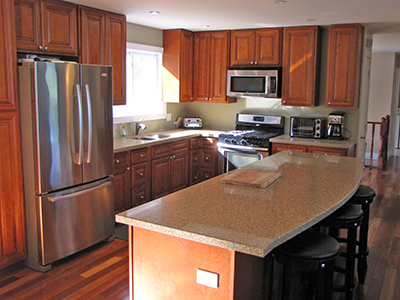 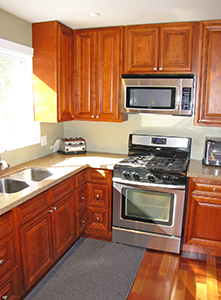 microwave, toaster oven, toaster, blender, coffee maker and the ever popular dishwasher. 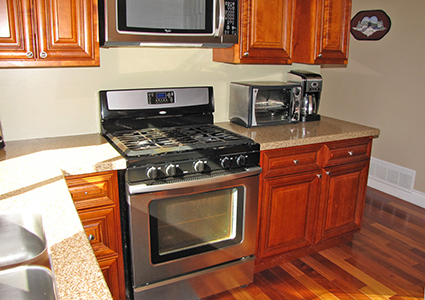 as well as four stools in the kitchen at the food prep island. 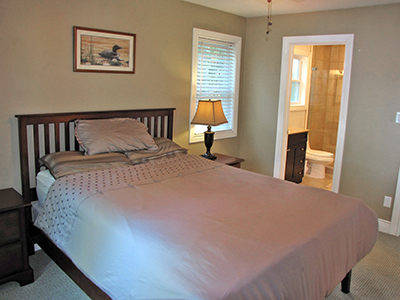 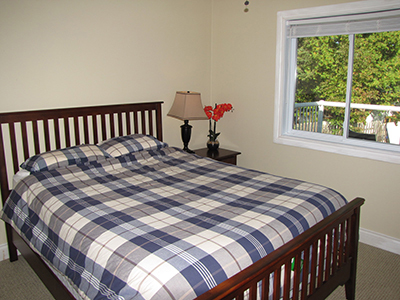 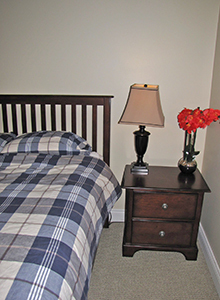 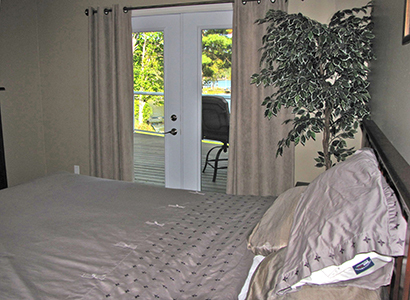 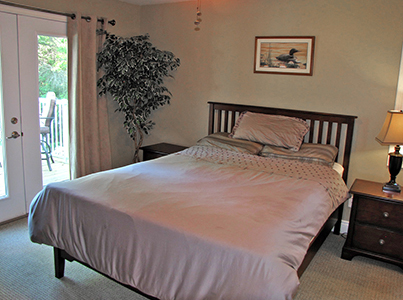 The master bedroom has a queen size bed and a walkout to the large lake side deck. 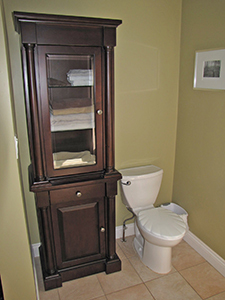 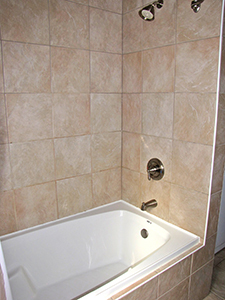 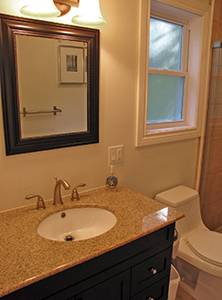 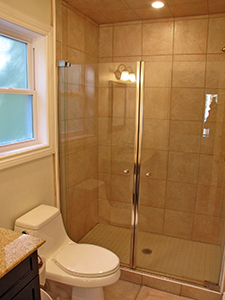 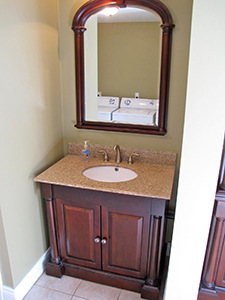 In addition, the master bedroom has an en suite bathroom with glass shower enclosure. 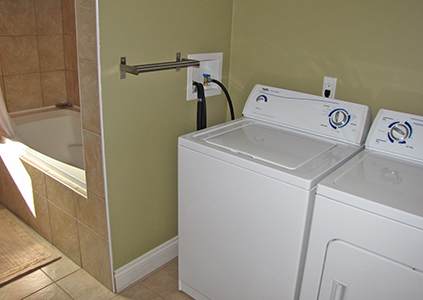 full size washer and dryer for all your laundry needs. 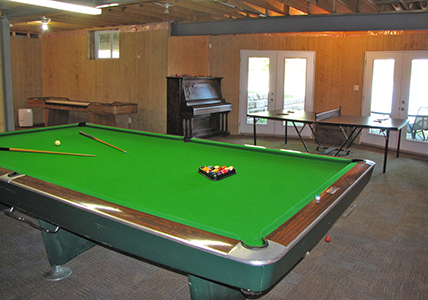 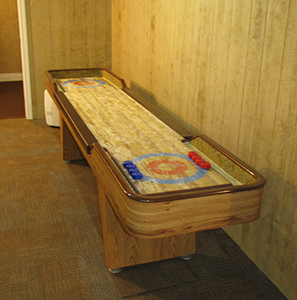 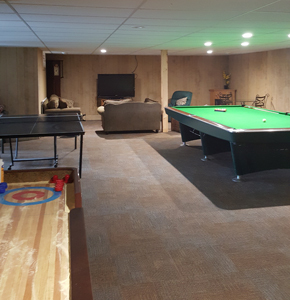 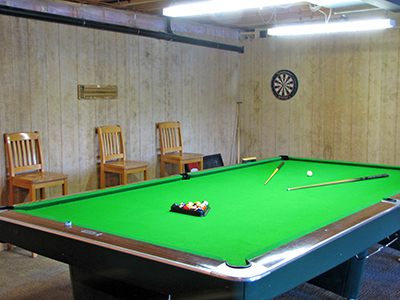 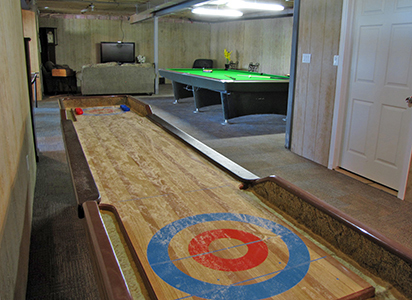 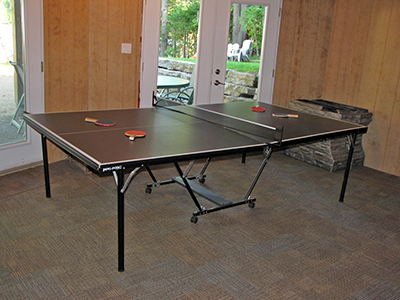 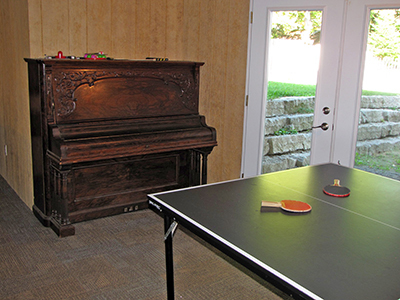 billiard table, ping pong table, shuffle board and dart board for your competitive enjoyment. 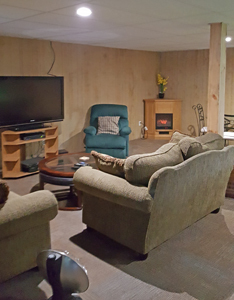 In addition there is a sofa area for lounging while the games go on around you. 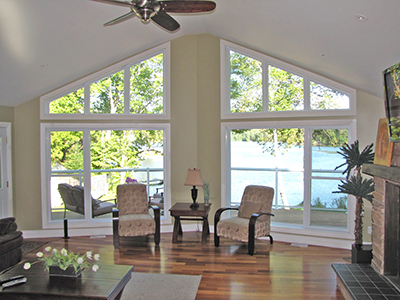 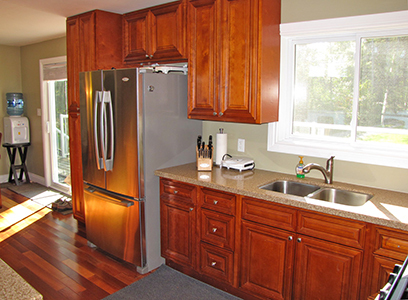 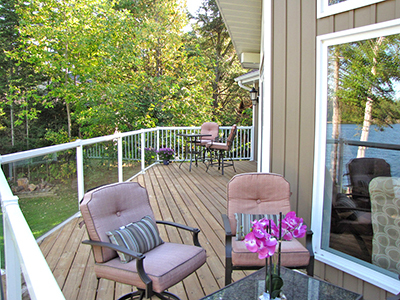 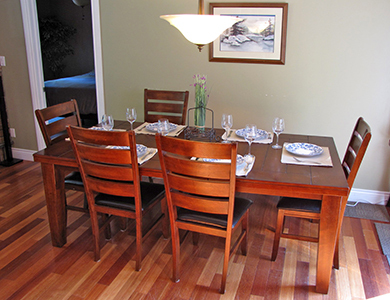 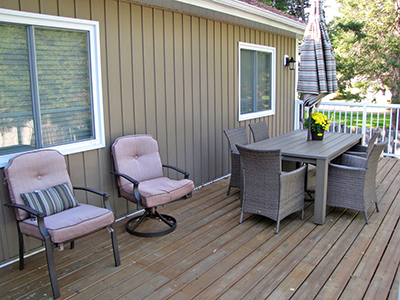 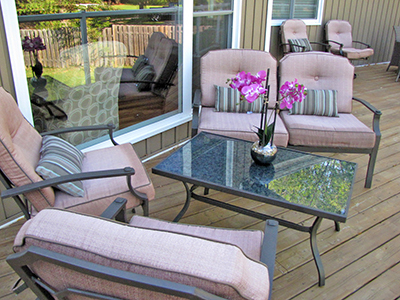 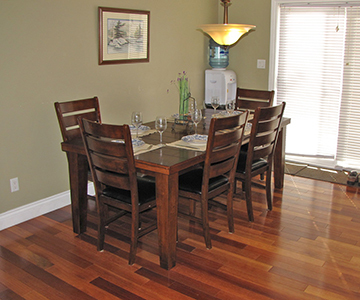 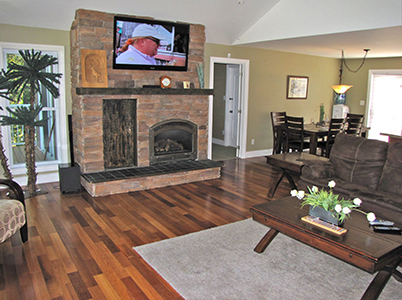 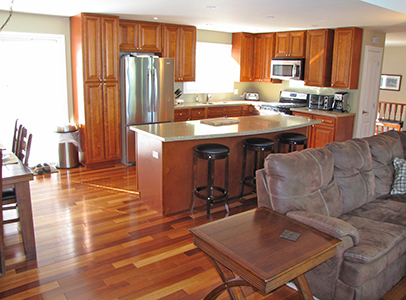 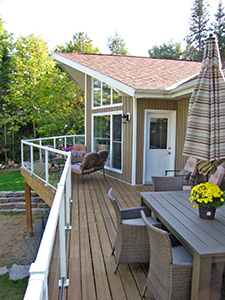 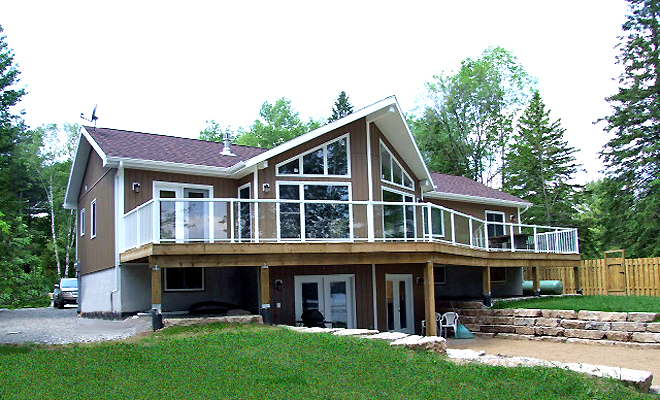 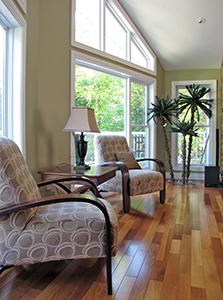 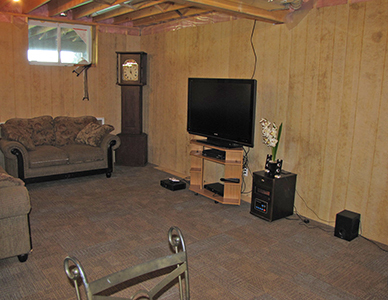 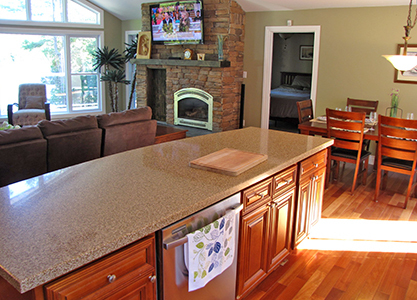 Moore Lake is becoming very popular with our regular clientele and this cottage will certainly not disappoint. 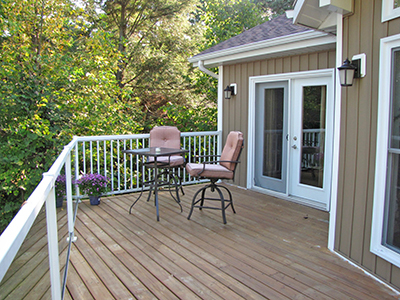 There are a number of exits to various decks and the property. 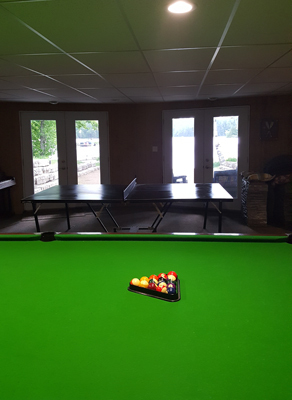 The main deck faces the lake of course with a northeast exposure and is furnished with numerous chairs and your propane barbeque. 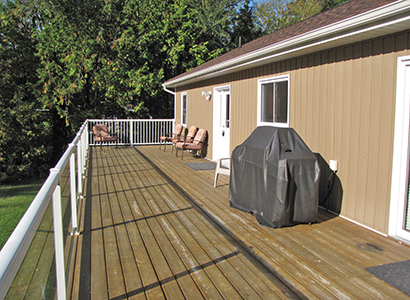 There is a full width deck at the rear of the cottage with yet another barbeque as well with a clear view of your near flat property and this area would be perfect for those popular lawn games. 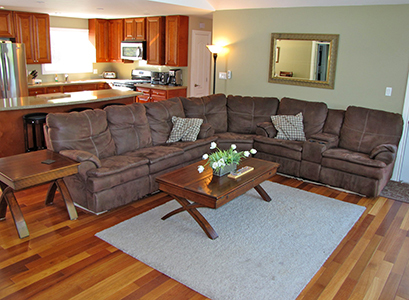 There is an exit from the lower level as well which leads to your child safe, gradual entry beach and sandy bottom shoreline where the kids will spend many happy hours in the sand. 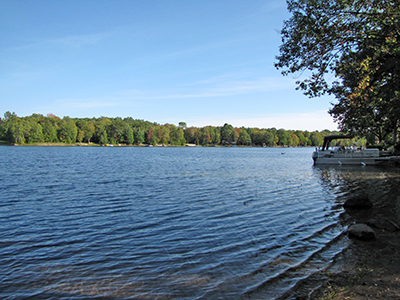 At your dock there will be a canoe and paddleboat for your on water enjoyment and don't forget your fishing gear because the bass, trout and whitefish are awaiting. 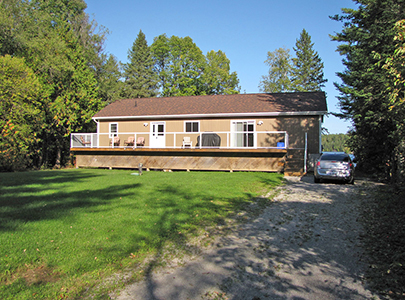 This cottage is within 10 minutes of Minden where there are major food stores, quaint shops, pharmacies, service stations, restaurants, banking, and health care if needed at the Minden Hospital. 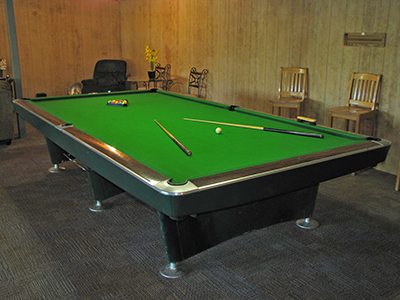 In addition, Casino Rama is about 45 minutes away where there is always big name entertainment in town. 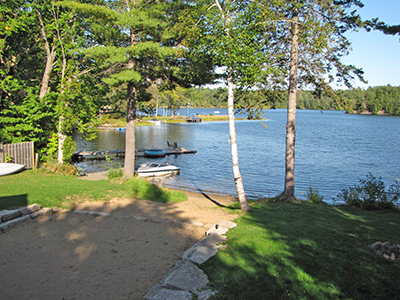 So if all this sounds good to you, give WRD a call at 705-457-9434 and talk to one of our Vacation Planners who will be happy to answer any questions you may have and we look forward to seeing you in Cottage Country this summer.